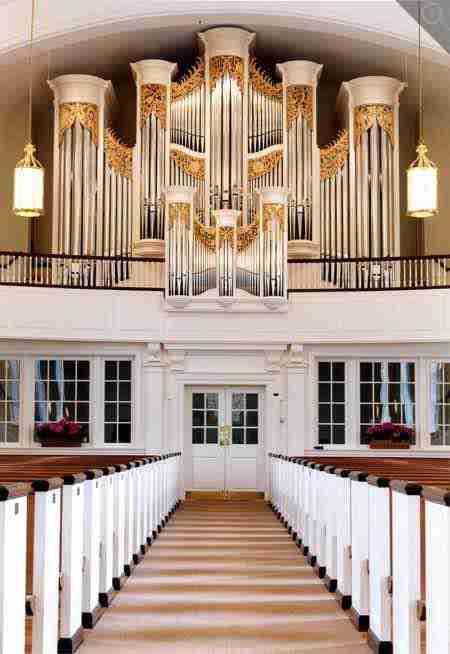 Every instrument built presents the builder with specific challenges, and at Chestnut Hill Presbyterian Church it was the desire for an organ on the gallery of adequate size but with a restriction in height. 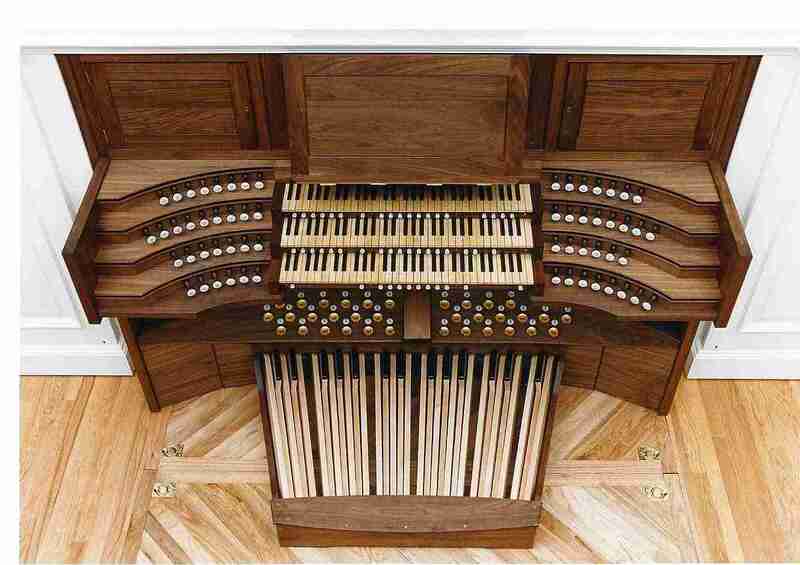 Initial designs suggested that the Swell Organ be placed behind the Great Organ but this presents disadvantages for the egress of sound and balance between the manual departments. 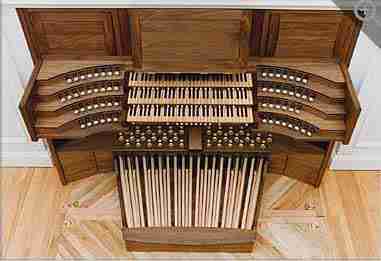 By making the console slightly projecting, and dropping the Swell above the trebles of the Great Organ, it proved possible to achieve a vertical disposition. However, this made the case wider than it might otherwise have been. Wide organ cases are always difficult to make elegant and required some ingenious work on the part of the case designer. Fortunately, the assistant designer at Mander Organs, Aidan Nutter, is a trained architect; and he in combination with Geoff McMahon, the head designer, a suitable compromise was realised. 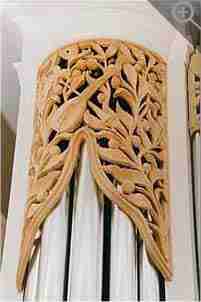 The carved foliage shades to the top of the pipe flats gave the opportunity to create visual counterpoint by the opposing directions in which they slope." 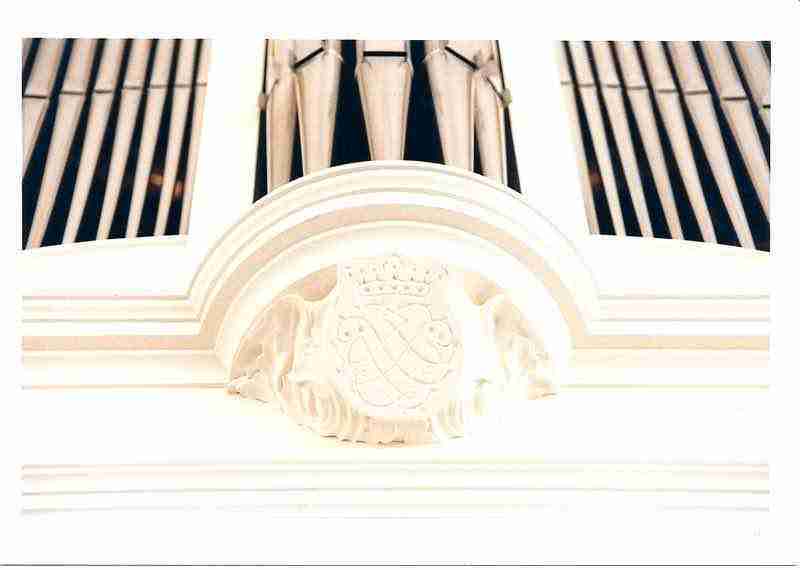 The projecting console also makes the conducting of the choir easier and it was provided with curved terraces for the stops also in an effort to keep it as low as possible, whilst ensuring that the stops were accessible. The key action is balanced and all the manual pipework is planted in major thirds from the middle of the tenor octave, a feature which improves tuning stability and blend. 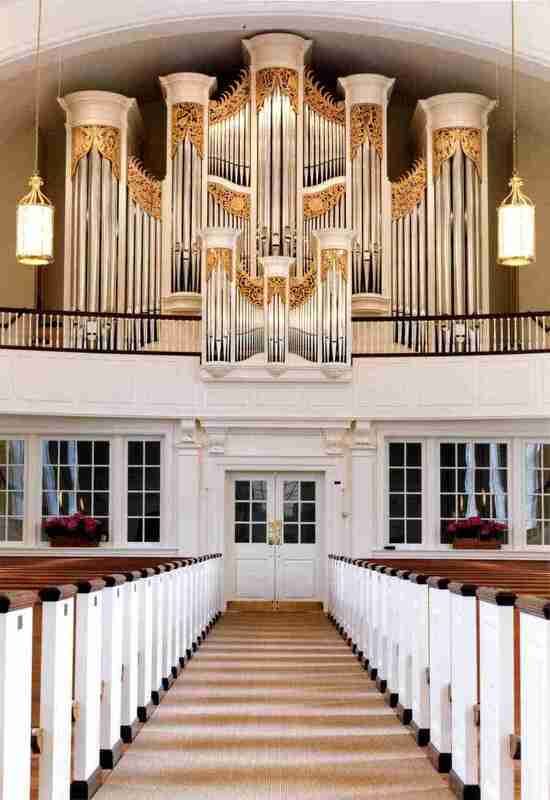 The organ is tuned to Kellner's proposed temperament for the performance of Bach which is gaining a great deal of popularity in America as a temperament with good all-round flexibility. 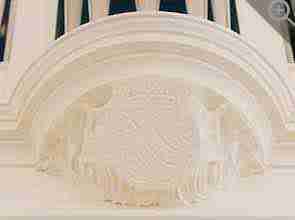 Bach's seal, reproduced below the Choir case, is recognition of this as well as the 250th anniversary of his death. 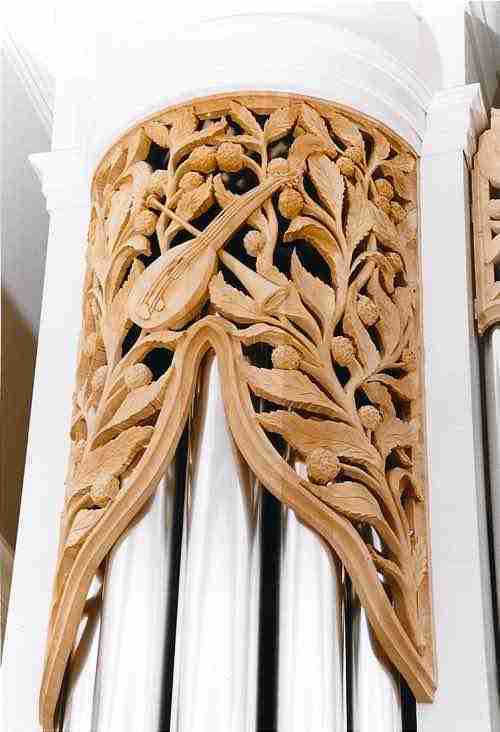 View the Specification of the Chestnut Hill Presbyterian Church organ (completed 2000) and pipe scales.